My name is Vikki, and I live with a picky eater. I didn’t entirely know what I was getting myself into when we moved in together, nutritionally speaking. I knew my partner was a meat-and-potatoes kind of guy. I’d never seen him eat anything green. He also looked down-trodden whenever I suggested a cuisine other than American or Italian, so maybe I should have seen this coming. The look of disgust he gave me was equal parts hilarious and mystifying. Who makes chicken soup without onions and carrots? And what could someone possibly have against lemon juice?! I know the answer now, of course. He is unabashedly picky. The list of vegetables he eats starts and ends with corn, potatoes, and tomatoes (in sauce form only, thanks). He dislikes the texture of onions and garlic and thinks lime juice makes things taste “weird.” And don’t even get me started on “trendy” foods. Faced with the decision to eat a zoodle or drink toilet water, he’d grab a cup and head for the urinal. Over the last four years that we’ve lived together, I’ve had to get a little creative to ensure meal prep still happens regularly and, ideally, that he’ll eat what I make and not opt for a PB&J. Maybe in your situation, you’re the picky one. That’s okay! There’s nothing wrong with knowing what you like and sticking to it. But when you’re trying to prep for two (or more!) people of differing tastes, things are bound to get a little tricky. Never fear! 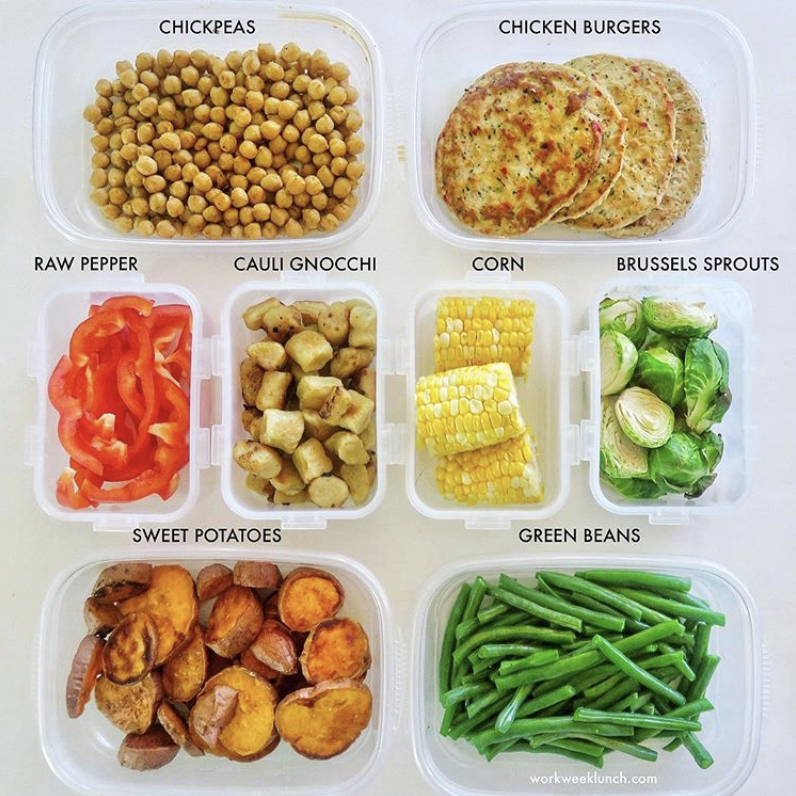 We compiled our picky prepping tips and incredible tips from the Workweek Lunch community into this handy guide to meal prepping for picky people. Meal-prepping “Buffet Style” is one of the easiest ways to prep for someone with particular tastes (or a large group with differing tastes or dietary needs). Buffet preps entail preparing the components of a meal separately so that each person can decide what they want on their plate. The absolute easiest way to do a buffet prep? Prep a carb (like rice, potatoes, or noodles), a protein source, a vegetable or two, and a dressing or sauce separately and build customizable bowls, wraps, salads, and more all week long. Oftentimes, the reason people shy away from new foods comes back to texture. I’m a pretty equal-opportunity eater. But the first time someone likened the tofu I was eating to “gray jello,” even I was a little shaken up. With texture aversion, it all comes back to proper preparation. Brussels sprouts are one of the “it” vegetables right now because we’ve finally realized as a society that steamed brussels sprouts are smelly spheres of mush, but roasted brussels sprouts are deliciously caramelized wonders. I actually can’t think of any vegetable that doesn’t taste better roasted (okay, yes, lettuce would be gross roasted, but everything else is delicious), so when in doubt, roast it up. As previously stated, I’m also a huge fan of aromatics. My partner is not, but not because he dislikes the flavor, he just can’t get around the texture. In that case, go for spices over the real stuff: onion powder instead of onions, ground ginger instead of ginger root, and garlic powder instead of minced garlic, especially in things where they can’t be strained out (i.e. soup vs. meatballs). Another oft-employed strategy in our house is “piecemeal prep.” Basically, I’ll prepare the more time-consuming part of a meal, and leave the sides for the day-of. This, of course, only works if you have the time to prepare something at mealtime, which some people don’t. If that’s you, skip ahead! For us, however, this works well: over the weekend, I’ll prep some protein sources, like turkey burgers, chicken meatballs, or even a whole roast chicken, then the day-of, I’ll make my partner his side of choice (which is Kraft Macaroni & Cheese more often than not). While, again, there’s nothing wrong with eating what you enjoy, sometimes people are just so convinced they’ll hate something, it makes them believe they do, even if they’ve never tried it. I remember once, I asked my mom to try the chocolate mousse I’d made. After she’d finished, I told her the secret ingredient: avocados, which my whole life she’d insisted were disgusting. By reframing them in this way, she tried them with no preconceived notions and now is one of the biggest avocado lovers I know (and not just when they’re in dessert form). The most common example of this today is the cauliflower mash craze. I can’t tell you how many people I know who swore cauliflower was the devil until they tried it mashed up with a little butter. Incorporating new foods into recipes in novel ways can help your picky eater branch out a bit, without causing a mutiny. Prepping some snacks each week is a great meal-prepping practice in general, ensuring you have nutritious food handy in case hunger strikes outside of mealtime, but they’re also great to have on hand to feed someone’s particular tastes. With thousands of options, there are recipes for every taste preference and they’re less likely to include offensive ingredients. It’s not ideal, but it happens: you’ve cleared a recipe with your picky eater and now mealtime has arrived and he or she is begging for takeout. When trying new recipes, scale down quantities so you’re only preparing a few servings, increasing the likelihood that the least picky among you can handle finishing them off. Making sure there’s someone who’ll eat the meal is a great insurance policy, taking stress off the prepper. As someone who’s been referred to as a “garbage disposal” before, I can understand how equal-opportunity eaters get annoyed with their picky counterparts. That said, I also know that while I’ll eat every vegetable under the sun, I strongly dislike seafood and would rather starve than even have to look at a catfish. And I’m pretty positive no amount of cajoling from seafood enthusiasts will change my mind. Don’t force them. Everyone has the right to eat what they like and what makes them feel their best. Don’t give them ultimatums. See above. It’s not that serious. Don’t shame them for what they will or won’t eat. Guilt trips aren’t the way to go here. Don’t ask them if they’re a toddler. They’re not, they just find broccoli revolting. The Workweek Lunch community came out in full force with their best tips for helping picky eaters branch out with their food choices. Find food that you think is exciting and start there. You have to want to like something for you to actually like it. If you go on thinking “this will be terrible,” you’ll be right every time. I would say find someone who knows/likes the food to prepare it for you. Express to them what you don’t like about the food and see what they can do. For example for me, I’ve always hated minced meat, I told my boyfriend I hated the texture especially when you get the little chewy bits. He made a lasagne with minimal beef, lots of sauce and cooked it for hours so the meat near enough disintegrated! Trying new foods is hard. Especially when other people pressure you into it. Do it for you! Everyone goes at their own pace in learning about new foods. Try the same base food, like chicken, with a new sauce or new side. Change one element at a time. Making one meal each week that I wasn’t sure I would like was a good strategy for me! Try it at least once to make sure you ACTUALLY don’t like it. I thought I didn’t like mangoes until I tried them and now they are one of my favorites! Know that it’s okay to not like certain foods! Not everyone has to like everything. Picky eating has such a negative vibe surrounding it but it’s nothing more than a preference, just like music or fashion choices. My rule of thumb is to try everything at least once and I allow myself to not like it. Do you have your own advice to add? Drop it in the comments below! 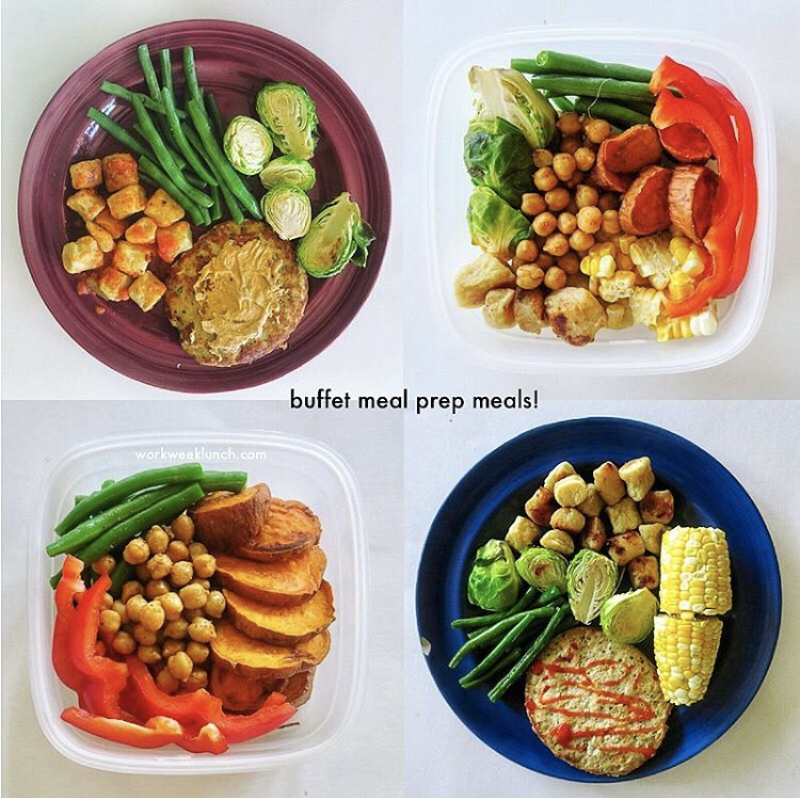 And do you want to give meal prep a go? Sign up here for a free 3-day mini meal plan and also get weekly meal prep tips from me.